Steven J Zaloga received his BA in history from Union College, and his MA from Columbia University. He has worked as an analyst in the aerospace industry for over two decades, covering missile systems and the international arms trade, and has served with the Institute for Defense Analyses, a federal think-tank. 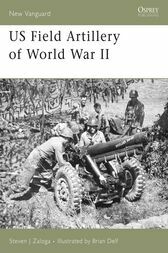 His main area of interest is military affairs in the former Soviet Union and Eastern Europe in World War II, and he has also written extensively on American armored forces. Brian Delf began his career working in a London art studio producing artwork for advertising and commercial publications. Since 1972, he has worked as a freelance illustrator on a variety of subjects including natural history, architecture and technical cutaways. Some of his recently illustrated books have been published in over thirty countries. Brian lives and works in Oxfordshire.